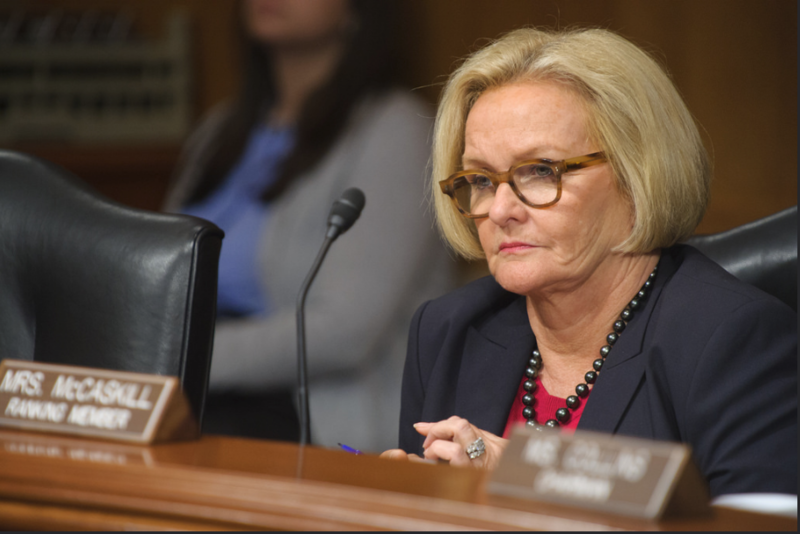 Senator Clair McCaskill from Missouri led the investigation that exposed the shocking back door dealings between some of the biggest painkiller manufactures and pain management advocacy groups. With the alarming rise in opioid related deaths and opioid abuse in the country, more and more state and local governments are now suing the opioid industry and their constituents. In 2016, the investigation led by the AP and Center for Public Integrity showed how painkiller manufactures paired up with the advocacy groups and lobbyists to further push their product onto a vulnerable market of patients in chronic pain. The millions in campaign contributions from opioid manufacturers went to advocacy organizations to fight state and federal ordinances trying to stop prescription painkillers. The report could aid the already hundreds of lawsuits already filed by state and local governments against the drug makers that allege the opioid epidemic was fueled by drug companies lust for profits instead of the well being of their patients. The suits declare that drug makers misguided medical professionals and patients about the dangers of opioids by employing “front groups” and “essential viewpoint leaders” who oversold the drugs’ advantages and encouraged overprescribing. In the legal claims, the governments seek money and modifications to how the industry runs, including an end to using outside groups to press their drugs. Five companies were requested for information regarding their dealings with the advocacy groups, Insys Therapeutics, Perdue Pharma, Janssen Pharmaceuticals that are owned by Johnson & Johnson, Mylan and Depomed. McCaskill’s staff asked for the makers to turn over records of payment to groups and physicians as a part of the investigation. Of those, 14 nonprofit groups, groups representing pain patients and specialist groups, received almost $9 million from the drug makers and another $1.6 million was given to doctors. Of the groups that were open with their contributions and payments, most were in “industry friendly” positions. That included issuing medical guidelines to the promoting of opioids for chronic pain and lobbying for the defeat or exceptions to state limits on prescribing, criticism toward prescribing guidelines from the United States CDC. “Doctors and the public have no way of knowing the true source of this information and that’s why we have to take steps to provide transparency,” said McCaskill in an interview with The Associated Press. But Bob Twillman, executive director of the Academy of Integrative Pain Management said most of the $1.3 million received from the companies went to a state policy advocacy operation. But the director noted the organizations would also called for an alterative to the prescriptions while at the same time asking for exceptions to restrictions for certain patients. On the top of the list contributing to groups was Perdue Pharma, who provided $4.7 Million to different associations and doctors from 2012-2017. A statement from the company did not address the influence it had over the groups, but that they do help organization “that are interested in helping patients receive appropriate care.” On Friday, Purdue announced it would no longer market OxyContin to doctors. Insys Therapeutics provided $3.5 Million to interest groups and physicians, coming in second on McCaskill’s report. The company was indicted last year for allegedly offering bribes to doctors to write prescriptions for the company’s spray based fentanyl medicine. A company representative declined to comment. The other companies contacted for information, Depomed, Janssen and Mylan contributed $1.4 million, $650,000 and $26,000 in payments. Janssen told the AP the company acted responsibly; Mylan is opposed to being included because of its “minuscule role” in opioid sales and marketing; while calls and emails to Depomed were not returned to the press.